Weekend America Photo Gallery: Forget Ads, What's Your Brand? Forget Ads, What's Your Brand? 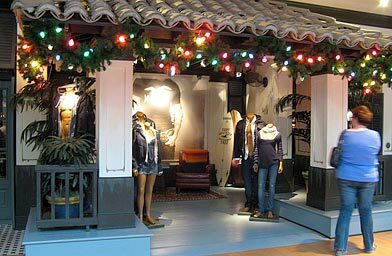 The unusual entrance to Hollister doesn't allow you to see into the store. There are no signs to advertise sales. In fact, the only place the Hollister name appears is on a single surfboard in the corner.